Personalized Family Flower Love Welcome Doormat. 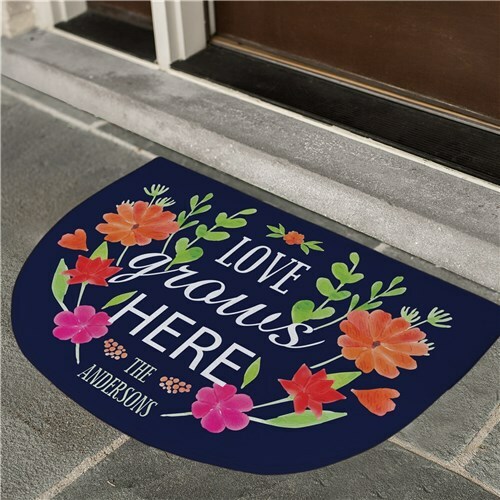 It's Flower Power time.. A Spring and Summer will bring a air of change to the new season with a family spring & Summer doormat The doormat has flowers flowing around the family name and family name with flowers filled colors. Flowers is beautiful so is your spring doormat. A beautiful accent piece to complete any family room or room decor with a splash of colorful personalization.